Team17 Nintendo Switch eShop Sale – Live Now! If you own a Nintendo Switch, we’ve got good news for you! 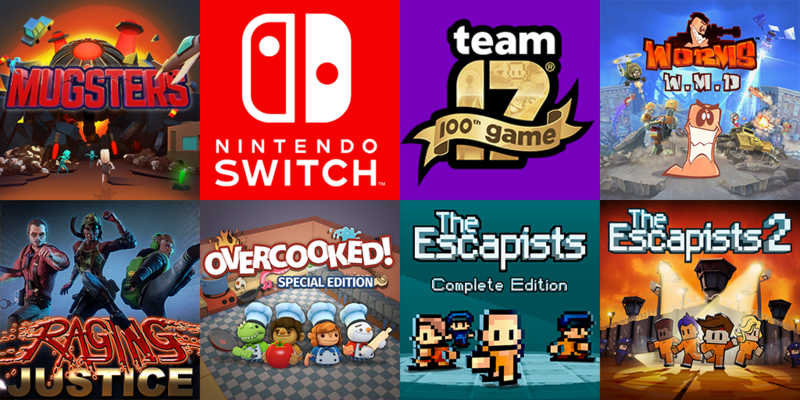 Many Team17 titles on Nintendo Switch eShop are currently heavily discounted! Overcooked! 2 – 20% discount! PLANET ALPHA – 25% discount! These discounts won’t be around for long, so if you fancy a bargain be sure to act fast! It’s time for a second serving of cooking chaos! Head back into the kitchen with friends in online and local co-op in Overcooked! 2! Explore huge, beautiful worlds, meet (and beat) an unforgettable cast of characters and horde a vault-load of shiny collectibles as buddy-duo Yooka (the green one) and Laylee (the wisecracking bat with the big nose) embark on an epic adventure to thwart corporate creep Capital B! The Room is Coming to Nintendo Switch!